Westwood Security Shutters Ltd. announces its 25 year anniversary as a manufacturer and provider of roller shutter security products to domestic and commercial customers. 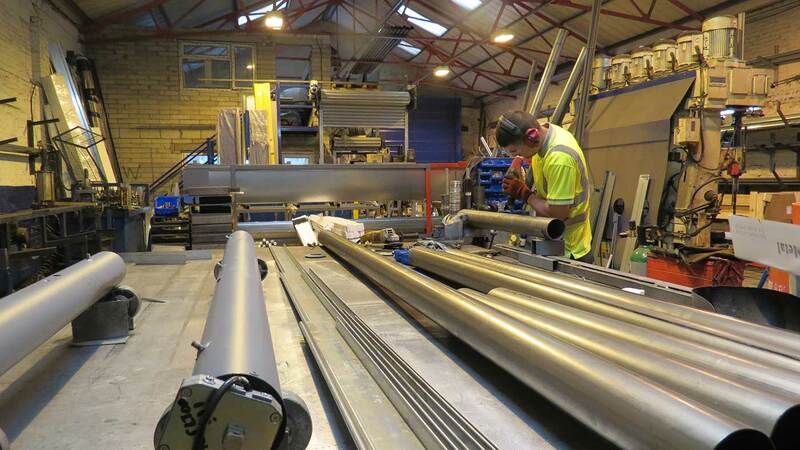 Founded in 1994 and initially providing servicing and repairs in the North West and buying in their roller shutters to supply to customers, after just six months the business started manufacturing its own roller shutters for local buyers. Within two years, Westwood Security Shutters Ltd. then started working outside the North-West region to supply further demand and keep national customers happy. Originally working from a small unit in Hempshaw Lane, Offerton, Stockport, the business then moved to Longsight, Manchester and then to Ardwick Green, central Manchester where the factory and head office has been located for the last 14 years. Founders Mark Tarney and Martin Dinnie remain joint owners and directors of the company. “Now we cover the whole of the UK and also export various products to Europe, Ireland, the Caribbean and Africa. At the moment we are eagerly waiting to see how Brexit will affect this part of our business,” added Mark Tarney. Over the years, Westwood have continued to add to their product portfolio and now offer other similar products such as fire shutters, fire curtains and high speed doors. Their staff are trained to professionally accredited standards and new product developments are tracked continually to meet customer demands. For more information on Westwood Security Shutters Ltd. and their roller shutter and security products please visit https://rollershutter.co.uk/contact-us/. Organisation: Westwood Security Shutters Ltd. Address: 24 Ardwick Green South, Manchester, M13 9XE.